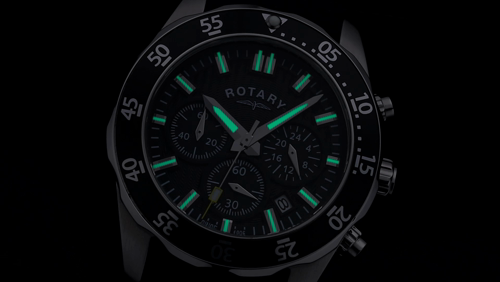 This exclusive Rotary men's stainless steel chronograph watch features a black dial with three timing function sub dials and a date window at 5 o'clock. The rotating black bezel adds a sophisticated feel, whilst the black rubber strap adds optimum comfort. 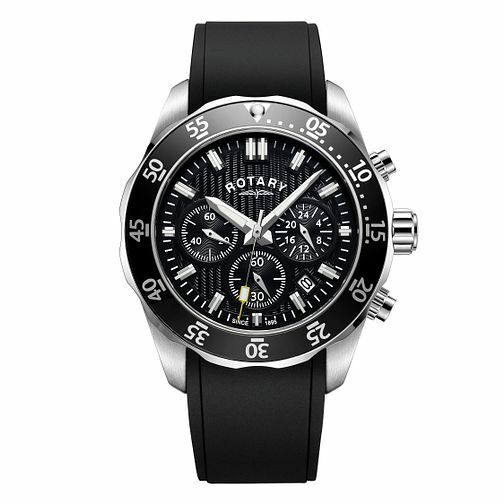 Rotary Men's Black Strap Chronograph Watch is rated 4.7 out of 5 by 3. Rated 4 out of 5 by Anonymous from A very smart addition to my watch-wearing options A very smart looking watch that fits perfectly and looks more expensive than its retail price. It's very enjoyable to wear and is of excellent quality, I would highly recommend.